Entries are requested for the fourth biennial Ruth Borchard Self-Portrait Prize. All artists from the UK and Ireland are eligible, whether they specialise in drawing, painting, watercolour, print, collage, photo-collage, mixed media and low-relief sculpture and construction (though pure photography, stand-alone sculpture, and moving image works are not eligible). Only one piece per artist can be submitted; the piece must have been created after the year 2000. Submission costs are £25, and the prize for the winner is £10,000. All submissions must be made online through the website, and the deadline for submissions is Friday 12 April 2017. This prize was named after the collector, novelist and patron of the arts Ruth Borchard (1910 – 2000), who amassed over her long life an impressive collection of self-portraits by the leading artists of the Twentieth century. 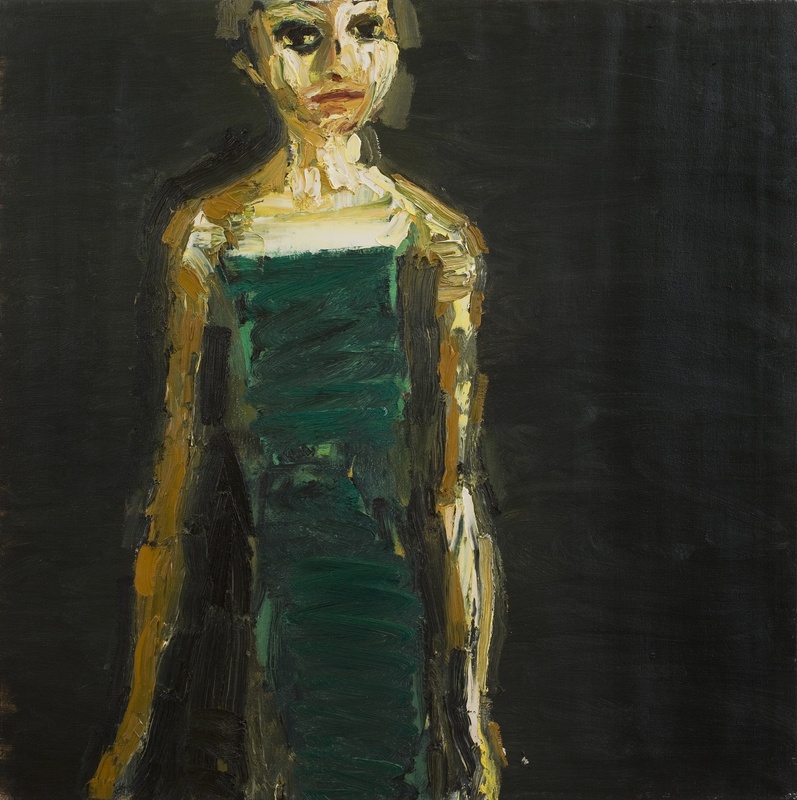 Between 1958 and 1971, she collected a hundred self-portraits by British, Irish, and British-based artists, including Michael Ayrton, Anne Redpath, Jean Cooke and Patrick Procktor. After her death in 2000, Ruth’s son Richard partnered with Dr Robert Travers, the director of Piano Nobile, to launch the Ruth Borchard Next Generation Collection. The idea was to continue Ruth’s collecting activity in her memory. The Next Generation Collection now includes work by several widely-known British artists, including Maggi Hambling, Anthony Eyton, Celia Paul and Thomas Newbolt. 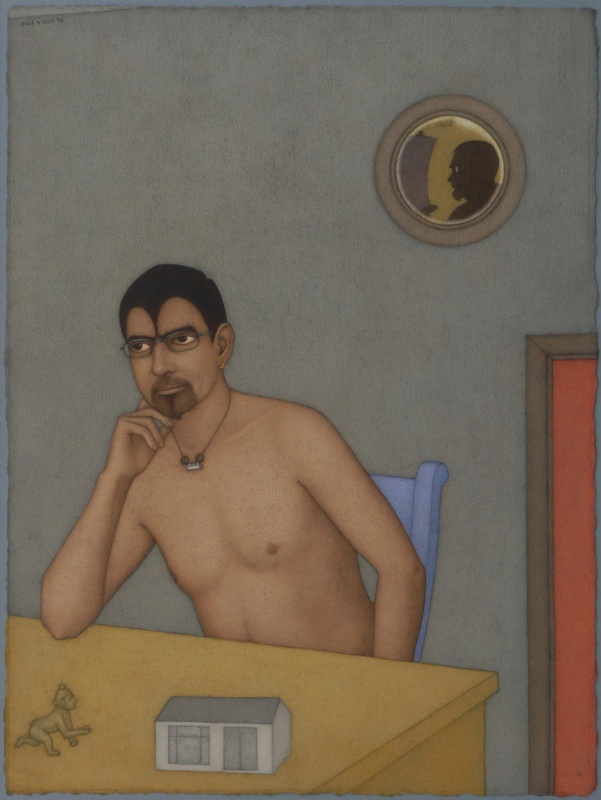 Shanti Panchal (b.1955), ‘Artist and the Lost Studio’ (Watercolour on paper, 102 x 82cm, 2015). This painting was the winner of the Ruth Borchard Self Portrait Prize 2015. The first round of selection will take place on the 8th May. After the longlist of 120 works has been selected, the Ruth Borchard Prize 2017 exhibition will take place at Piano Nobile Kings Place from Friday 18th May to Friday 22nd September, with a Private View opening event on Wednesday 17th May. All one-hundred and twenty works will be hung. The exhibition will be free and open to the public, so this represents a great opportunity for entrants’ work to be seen and discussed. At the private view, the Ruth Borchard Self-Portrait Prize of £10,000 will be awarded, as chosen by a panel of judges. In addition to the first prize, several other works may be purchased for the the Next Generation Collection, the extension of Ruth Borchard’s collection. Thomas Newbolt (b.1951), ‘Figure III’ (Oil on canvas, 92 x 92cm, 2010). This painting was the winner of the Ruth Borchard Self Portrait Prize 2013. 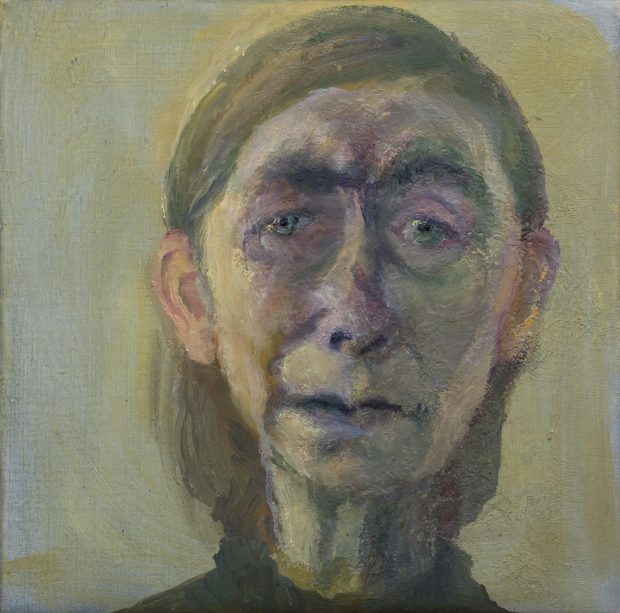 The header image for this post is Celia Paul, ‘Self Portrait, May 2010’ (Oil on canvas, 25.4 x 25.4cm, 2010), which was the winner of the inaugural Ruth Borchard Self Portrait Prize in 2011.